SAN RAMON, Calif. — Anadarko Petroleum Corp. (NYSE: APC), a Texas-based oil-and-gas operator with a major presence in Denver, will be acquired by California-based Chevron Corp. (NYSE: CVX). Chevron will buy all of Anadarko’s outstanding shares in a cash-stock-deal — 75 percent stock and 25 percent cash — valued at $33 billion, or $65 per share, according to a Chevron announcement released Friday morning. Anadarko shareholders will receive 0.3869 shares of Chevron and $16.25 in cash for each Anadarko share. Chevron expects to issue about 200 million shares of stock and pay about $8 billion in cash. Anadarko’s stock price skyrocketed in the hours after the acquisition was announced. As of 9:30 a.m., the stock was trading at $62.24, up nearly 33 percent on the day. Chevron’s purchase will bolster the firm’s “positions in large, attractive shale, deepwater and natural gas resource basins,” according to a company news release. Wirth said the acquisition will provide opportunities for cost savings and streamlining. “We will be leaner and more focused,” he said. Wirth will remain the company’s CEO upon completion of the deal and the company will remain headquartered in San Ramon, California. What role, if any, Walker will have going forward was not announced. “I greatly respect (Wirth) and I am committed to a smooth and seamless transition for our people, our operation and our investors,” Walker said. 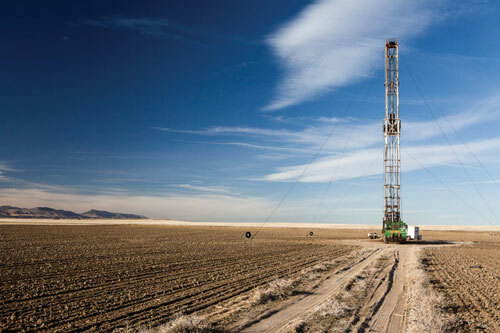 Anadarko, through its Kerr McGee unit, is the largest producer of oil and natural gas in Weld County, producing 38,224,137 barrels of oil and 275,772,073 mcf of natural gas in 2018, according to data compiled by the Colorado Oil & Gas Conservation Commission.